Happy New year! So what have you got planned for your garden, home, or caravan this year? 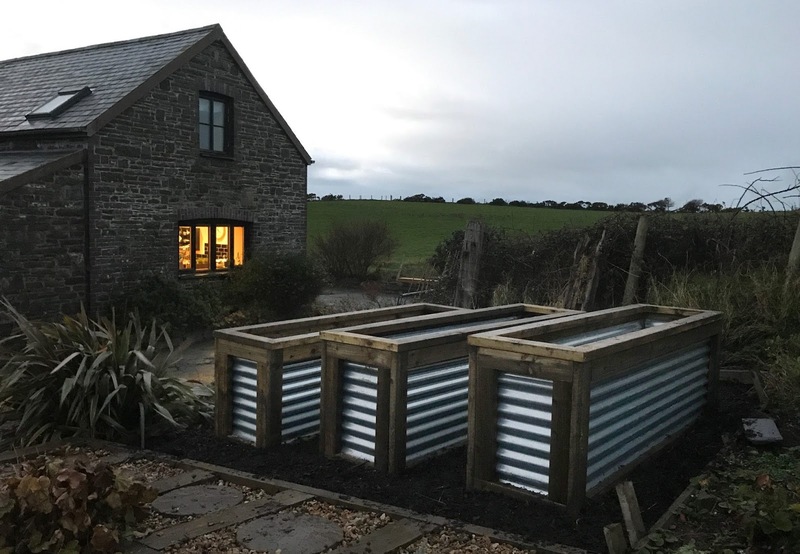 We often find that the majority of people we speak too, don't really think about their gardens until the first warm sunny weekend of the year, generally sometime in April or May. We then get a rush of enquiries all carrying the theme of "When could you start our decking." Our answer to this question is usually "In a couple of months"
In the mean time, here's a few jobs from the last couple of months. Excuse the off cuts in this photo, I needed to rush to get a photo before the sun set! This is out first timber deck on Llawr Betws Caravan park near Corwen and Bala. 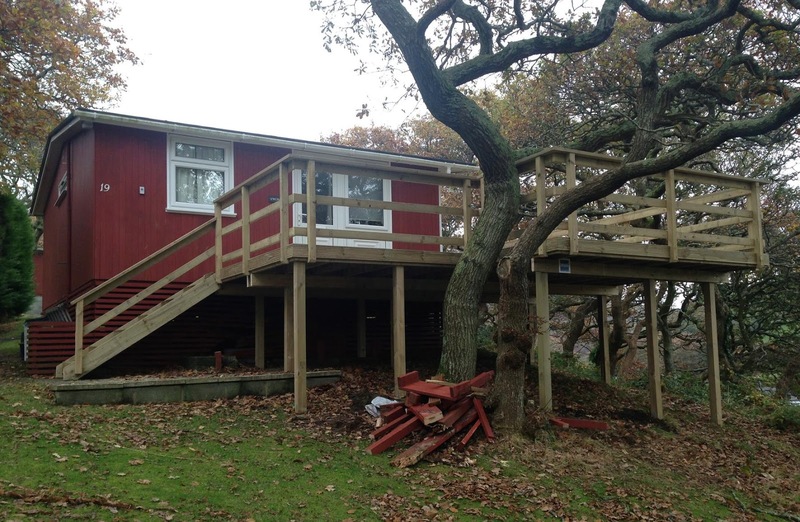 This great size deck gets sun from dawn till dusk, to allow the owners to follow the sun throughout the day. It also gives their pet dog a great area to wander without a lead. 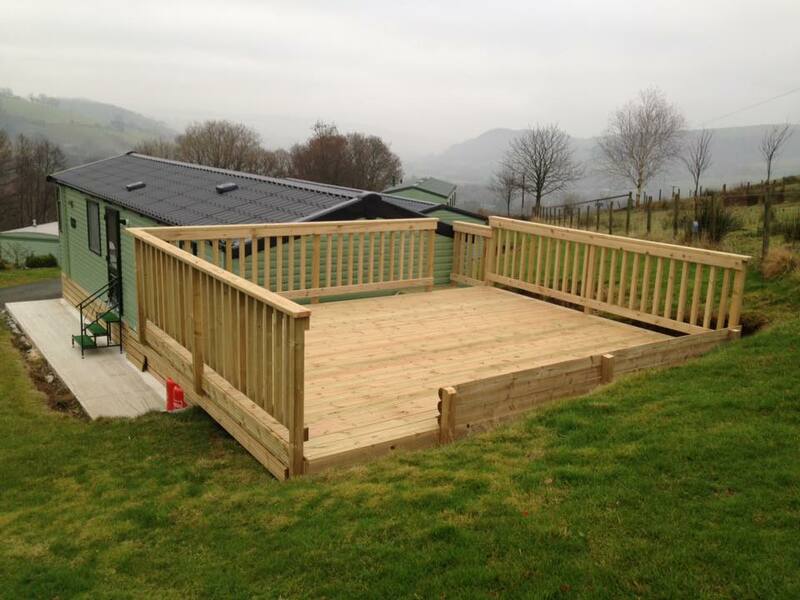 This deck is also acting as a base for a conservatory, to be fitted soon. 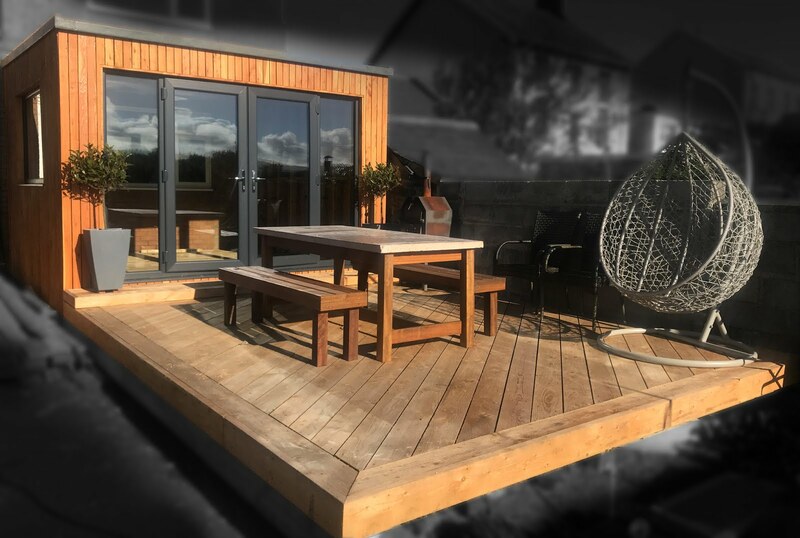 Decks are all about creating great useable spaces to enjoy outdoor living and of course ideally getting that view! 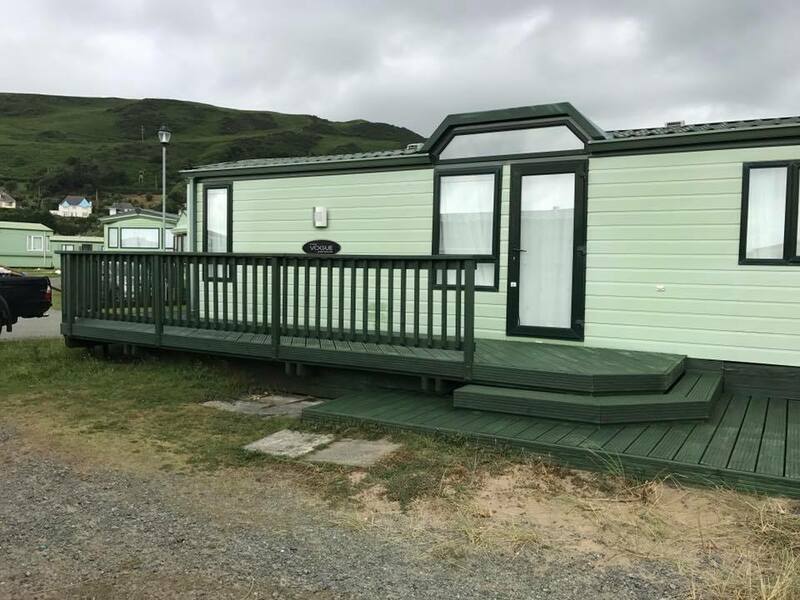 Ok - so its a misty day in the mountains here at Bryn Uchel caravan park but these raised decks let you see over the tops of your neighbours caravans letting you enjoy the view down the valley. 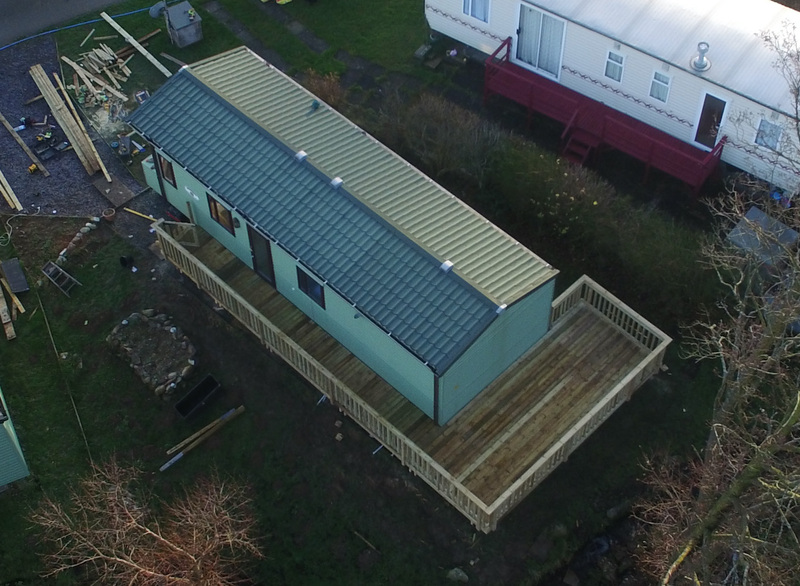 A staircase at the back of the caravan allows easy access up and down. Especially handy after relaxing on your decking with a beer or wine!